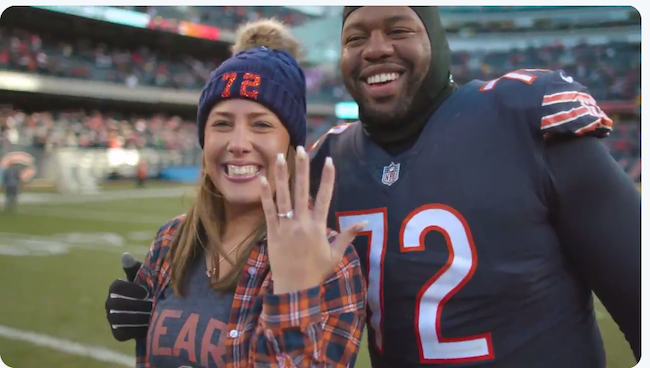 Congrats are in order for Charles Leno, Jr. and bride-to-be Jennifer Roth, but not everybody is jumping for joy. And it's not just because his new fiance is white. A black professional athlete marrying a white woman is definitely not shocking news. But when said white woman has a history of borderline racist tweets and N-word dropping, folks are gonna pause for the cause. Him : Will you marry me? It’s not evolving when you no longer post racist remarks online. Means you’ve learned to better hide&manipulate. No matter who she ended up being engaged to, this perspective out in the world& this way of speaking is perpetuating racism, which is deadly, to this day in our world. oh boy, i know for a fact the sistas are mad he with a snow bunny. 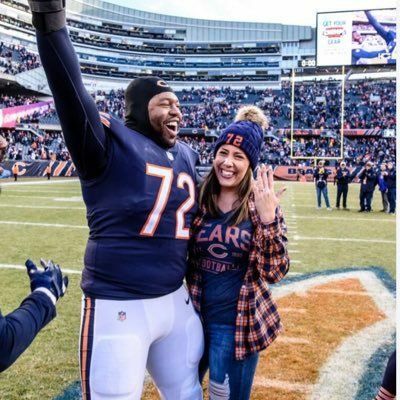 Surprise another black nfl player wifing a white girl lmaoooo congrats tho ! PREVIOUS: Beyoncé Just Reminded Everybody Of Her Queen Status - Global Citizen Festival Raised $7.1 BILLION!